Well, thought I might as well jump in with my first post being a note of my purchase of the White Rat (ebay for less than original, more than the bigbadstore, which unfortunately was out of stock, so all in all, a win for moi!). I've been lurking for some time now, wanting to post, but not knowing where to as I didn't see any Intro thread or the like (though I know a lot of names from other groups/forums). 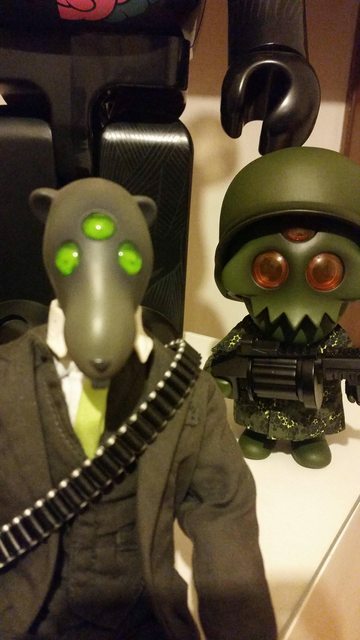 I've been silently scoping out my first C&D/Ferg toy... well, not really as I managed to score one of the custom Young Gohsts from Grody&Ferg off Lulu, but I've really dug these ratty bastards since my two eyes met his 3. Welcome. Squadts are addicting. .
Oh, don't you worry. Hipster scarves for one and all. And, thanks for the love LoveFree... I really like the YGs, and can see playing with the form myself. Shame I missed out on the subscription, maybe there will be a Series #2??? Bunny Slippers?! I'll take 70. Welcome to the CAD Community! You'll soon realize what I did when I joined, awesome members & no major drama or negativity. 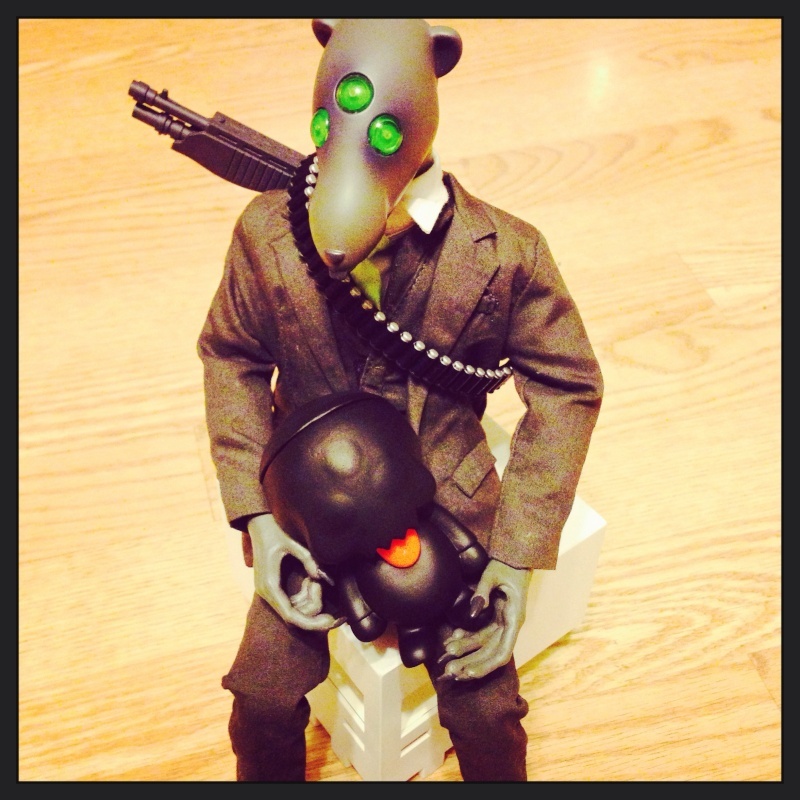 So, Mr Ratty himself arrived today, he's pretty awesome! Just a couple small things, firstly one of his eyes popped off right away, but honestly this is no big issue as I will be customizing him anyways and will be pulling all 3 off eventually. I'm also a bit sad that his shoes don't come off- I think the detail on his hands is one of the best things about him so I was hoping to see his toesies, but I think I'll simply need to make him some feets on my own... and also a tail might be fitting too. All in all, very happy gal!